A-General is a family owned and operated company since 1965. A-General, accredited as a Better Business Bureau offers customer service 24/7 to the residents and businesses in Ocean County, Monmouth County, Burlington County and Atlantic County, New Jersey. A General specializes in plumbing repairs Sewer and Drain Cleaning. Plumbing Repairs – Plumbing requires a variety of fixtures and fittings such as pipes, joints, faucets etc. It is utmost important that plumbing components of building or residence are properly linked. Internal and external plumbing and the drainage system need to be in best condition for long life of a residence or a commercial building. Therefore, regular plumbing checkup becomes a necessity. 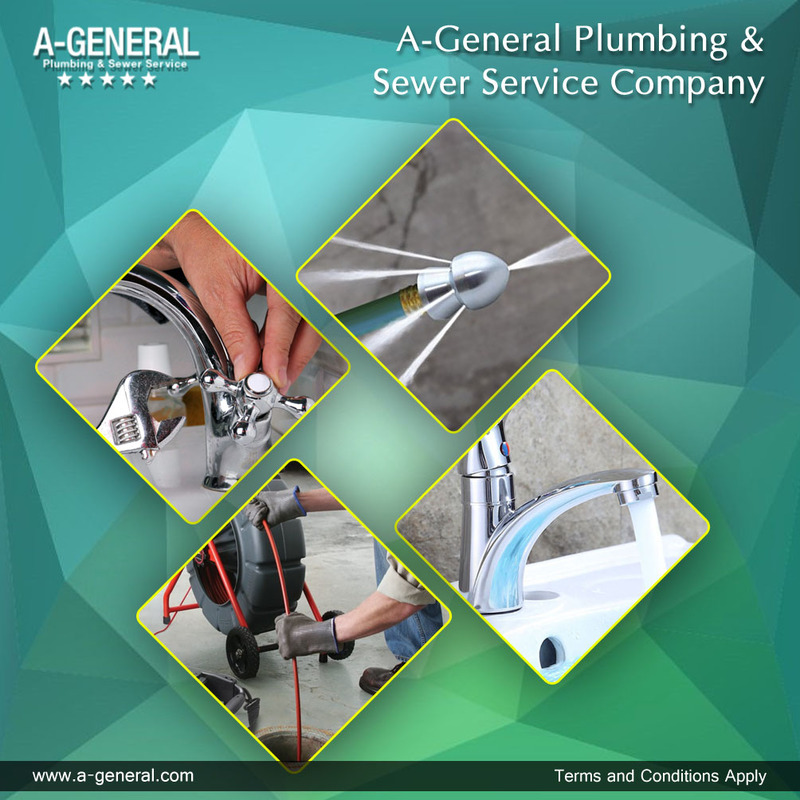 A General – the plumbing expert- suggests that regular repairs and replacement of critical plumbing units increases the life of plumbing system. While replacing the components it should be noted that copper piping fits well with brass fixtures. Generally, for residence and buildings, plumbing fixtures are made up of cooper, steel, PVC and CPVC. Sewer Cleaning – Regular sewer cleaning and maintenance of residence or commercial building prevent blocks. According to plumbing experts, depending on the type of waste system at home, two types of blocks can occur. For the residences and commercial buildings in rural area, the waste water drains into the septic tank or leach field whereas, for the residences and commercial buildings in urban areas the sewage lines are connected to the municipal waste water disposal system. Regular cleaning of sewer lines through a professional sewer cleaning agency reduces the damage to the residence and the commercial building. Smooth running of sewer lines and functional fixtures at residences and commercial buildings is possible with the help of a professional plumbing service provider. It is recommended that online survey of professional plumber be done for quality plumbing services.